The quote comes from a blog post titled Constructing Snacks into Mini-Meals on Dr. Wendy Sue Swanson’s blog, seattlemamadoc.com. I found the article very interesting. Particularly because in our house, snacking is a bit of an issue. In fact, for my kids, snacks seem to be more important than the actual meal. And apparently, my family is the not the only one with this issue. It is a growing trend in the US. Over the past 20 years, the amount of calories consumed by children from snacks has increased by 30%. Kids eat a third more calories everyday from snacks! 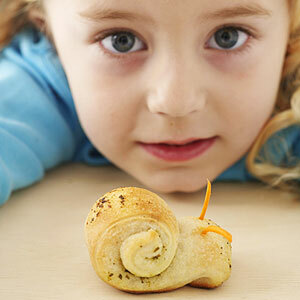 What kids snack on certainly can reflect how their diet is shaped and how they grow. Plain and simple: snacks make us fatter by packing in lots of calories in relatively small bits of food, the definition of “calorie dense” foods. They also discourage our eating of things like fruit and veggies because they fill us all up. One recent study found it was our over-consumption of snacks more than our under-consumption of fruits and veggies that is getting us into trouble. It is okay to be a little hungry. Dr Grow says, “Teaching kids it’s okay to get a little bit hungry (not ravenous) and work up an appetite for a regular meal” is a healthy way to learn to eat right. It’s our worst fear that our kids will starve. It’s almost an instinct to offer and offer and offer food all day. Our kids won’t starve, especially if we offer 3 meals and 2 healthy snacks daily. Red/Orange/Yellow packaging is dangerous. These colors are known to make you hungry and eat more. Advertisers know this! Think about leading fast-food chains, junk food, candy bars and soda containers. Red/Orange/Yellow is threat level alert for high-calorie foods that often have little nutritive value. We’ve written about snacking before on Survivor Pediatrics. In the this post, Dr. Hackell ask: with the national alarm increasing about the rate of obesity in our children (and adults as well), what message are we giving our children about eating when we provide them with a continuous stream of things entering their mouth throughout the day? Dr. Swanson does offer a possible solution. She mentions the idea of switching the snack for a mini-meal. So, anything that we would feel comfortable eating during a normal meal, but in smaller portions. I like this idea. Except the part about preparing yet another meal, even if it is mini. Snacks in little packages are just so convenient. But I guess I’ll give it a try and see. To read the rest of Dr. Swason’s post, click on the link. 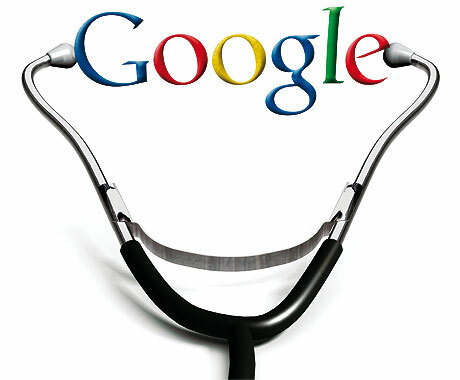 Dr. Google, Friend or Foe? Two articles recently caught my eye while I was spending some time on Twitter. First, an op-ed piece was published on Time.com discussing how patients and doctors perceive the use of the online health information. The article was closely followed by the results of a recent PEW research study which stated that 80% of Americans used the internet to “prepare for or recover from” their doctor visit. The results of the PEW study were less than surprising to me. Everyday I have a concerned mom or anxious dad refer to something they have read online. And, everyday I get to learn about new articles and websites that are claiming to have reputable health information. I learn from my families who bring in articles and links, and often share the good information with other families who may be struggling with the same concerns. As a medical doctor who regularly navigates the web, however, I did not expect nor appreciate the author’s tone in the Time.com piece. I was made to feel that all doctors were like lazy cattle, being poked with an electric switch towards a glowing computer screen. I find that troubling as a practicing pediatrician. Although doctors have traditionally been thought of as “late-adopters,” not all of us fit that archaic mold. There are many, many doctors who are embracing e-communication of all types within their daily medical practice. And all successful doctors practice “shared clinical decision-making” with their families, regardless if the internet is a piece of the information puzzle. Here are some things to consider before you approach your provider with some internet research of your own. Commercial advertisers and agenda-based groups can be very deceiving online. Does the information have sources to original, peer-reviewed medical articles? Many patients are going to discover the best online health information way before their doctors do. They, too, have a responsibility: patients will need to signal to their doctor how they conducted their search in a way that was smart, directed and grounded in evidence. Only then will the Google stack be recognized and used in a helpful, not counterproductive, fashion. Is your child sick? This feature is on our practice’s website to give families some information about common childhood symptoms. The site also give some guidance about what symptoms are concerning enough to contact the on-call physician. www.uptodate.com This is a very well-designed site providing general information on health conditions and their treatments. www.healthychildren.org A website full of childhood health information developed by the American Academy of Pediatrics. www.cdc.gov General information on illness, vaccines, and travel concerns. www.vaccine.chop.edu Complete, concise vaccine information. Bring a list of keywords that you searched. This allows your doctor to look over the information more critically, and hopefully more thoughtfully. If your doctor does not allow you to provide information prior to your appointment, don’t expect organized discussion about your findings in a brief appointment slot. Thinking about online information critically is a time-consuming process. Give your provider ample time to look over the information after your appointment. It may be possible, that despite your best efforts, keywords or articles you have found may have been misleading. If your physician disagrees with some online information you have found, it is very appropriate to ask, “Why?” Your provider should explain why the information may not be relevant or appropriate for your specific situation, hopefully providing alternate online references to help continue your search. Bring information to your provider with an attitude of partnership and shared decision-making. No one likes a confrontation. Navigating health online information is a learning process for all of us. If we don’t listen to each other, we don’t learn. If patients and doctors can have open dialog about information found online – good and bad – we can take care of patients better. And that is more than Dr. Google could ever do alone. Parenting Advice, a Guide or How to Manual? Driving through narrow, winding roads on a wet and cold afternoon, I wonder (silently) if we are going the right way. After our second near miss of a head on collision, I speak up. “This doesn’t seem right”, I finally say, more than a little perturbed. I want to shout out about how dumb the GPS must be and that we could clearly have been there already if we had just looked out our window, used our common sense, and followed the signs. I know I don’t need to speak the obvious. He already knows what I’m thinking. I’m certain he is thinking the same thing. Then it hits me, right there on that narrow, winding road, how much parenting advice is like this GPS. As parents we want to do things “right” by our children. We seek out advice from books, from experts, from google, and from friends. And, while that advice can be helpful and much needed at times, we have to remember that parenting advice is meant to be a guide, not a how to manual. I’ve definitely been led astray myself when I felt compelled to do things by the book. I was certain that if I just followed the steps laid out before me, my child would be sleeping through the night, using the potty, and eating a variety of healthy foods. In my quest for finding the “right way”, I got lost. I forgot to look at my child, use my common sense, and follow my motherly instincts. I forgot to read the signs that my child was giving me. Now, I know a little better. I know that there are many paths to take in this parenting journey. Some roads might be narrow and winding and perhaps not the best way for my child. Others may be smooth and straight, with only a few bumps along the way. My job as mom is to figure out the best road to take for my own child. To remember to look up from my book, magazine, or computer and see the signs right in front of me. The ones that will ultimately lead me in the right direction because they are the ones given to me by my child. My Child Has a Cold, Should I take Her the ER, Urgent Care or the Pediatrician? As cold and flu season approaches, I have been thinking about how our kids are managed when they become sick. Not only what we do to treat symptoms, but how, when, and where patients get medical advice and care. We are a busy society. We want things done now. Quickly. Cheaply. Correctly. Resolution so we can get back to life. Illness doesn’t work that way. 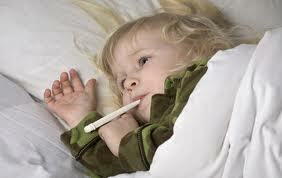 Most childhood illnesses are viruses and they take a few weeks to resolve. There’s no magic medicine that will make it better. Please don’t ask for an antibiotic to prevent the runny nose from developing into a cough or ear infection. Don’t ask for an antibiotic because your child has had a fever for 3 days and you need to go back to work. Don’t ask for an antibiotic because your teen has a big test or tournament coming up and has an awful cough. Antibiotics simply don’t work for viruses. They also carry risks, which are not worth taking when the antibiotic isn’t needed in the first place. 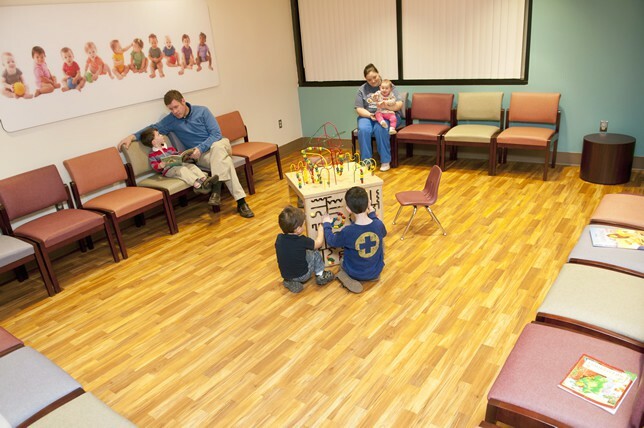 Many parents in this community have grown accustomed to using after hour urgent cares because they are convenient. Convenient isn’t always the best choice. Many times kids go to an urgent care after hours for issues that could wait and be managed during normal business hours. I know some of this is due to parents trying to avoid missing work or kids missing school, but is this needed? Can it hurt? Some kids will get unnecessary tests, xrays, and treatments at urgent cares that don’t have a reliable means of follow up. They attempt to decrease risk often by erring with over treating. Our office does have the ability to follow up with you in the near future, so we don’t have to over treat. Urgent cares don’t have a child’s history available. They might choose an inappropriate antibiotic due to allergy or recent use (making that antibiotic more likely less effective). They might not recognize if your child doesn’t have certain immunizations or if they do have a chronic condition, therefore leaving your child open to illnesses not expected at their age. We know that parents can and should tell all providers these things, but our own new patient information sheets are often erroneous when compared to the transferred records from the previous physician… parents don’t think about the wheezing history or the surgery 5 years ago every visit. It is so important to have old records! There is some evidence that treating things too soon does not allow our bodies to make immunity against the germ. A great example of this is Strep throat. Years ago we would go to a doctor when our sore throat didn’t get better after a few days. They would swab our throat and send the swab for culture, which took 2 days. We would treat only after that culture was positive. That delay in treatment allowed our bodies to recognize the Strep and begin making antibodies against it. Now kids are brought in the day they have symptoms, and if the rapid test is positive, they immediately start antibiotics. The benefit? They are less likely to spread Strep to others and they can return to school 24 hrs after starting the antibiotic. The negative? They might be more susceptible to recurrent illness with Strep, so in the end are potentially sick more often and end up missing more school. Receiving care at multiple locations makes it difficult for the medical home to keep track of how often your child is sick. Is it time for further evaluation of immune issues? Is it time to consider ear tubes or a tonsillectomy? If we don’t have proper documentation, these issues might have a delay of recognition. Urgent cares and ERs are not always designed for kids. I’m not talking about cute pictures or smaller exam tables. I’m talking about the experience of the provider. If they are trained mostly to treat adults, they might be less comfortable with kids. They often order more tests, xrays, and inappropriate treatments due to their inexperience. This increases cost as well as risk to your child. We have been fortunate to have many urgent cares available after hours that are designed specifically for kids, which does help. But this is sometimes for convenience, not for the best medical care. As previously mentioned, cost is a factor. I hate to bring money into the equation when it comes to the health of your child, but it is important. Healthcare spending is spiraling out of control. Urgent cares and ERs charge more. This cost is increasingly being passed on to consumers. 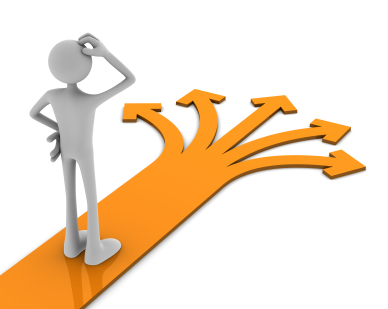 So what kinds of issues are appropriate for various types of visits? If your child gets a vaccine at any other location, please send us documentation (including the date, brand, lot number, and place administered) so we can keep the records complete. Remember your pediatrician’s website might offer trusted answers to questions and many treatments to try at home for various illnesses and conditions! Be careful of surfing for answers though… the internet is full of bad advice! Go only to trusted sources (such as your doctor’s website or HealthyChildren.org). Dr. Stuppy is a practicing pediatrician in Kansas. I feels privileged to be able to help families keep their children healthy and she loves watching entire families grow! Dr Stuppy is active on Facebook and puts a more personal touch to pediatric topics on her blog. Visiting The Pediatrician With Your Teen. What Are They Talking About In There? When is it time to worry about the cough? How Do I Know If My Child Needs Ear Tubes? Can I Spoil My Newborn?